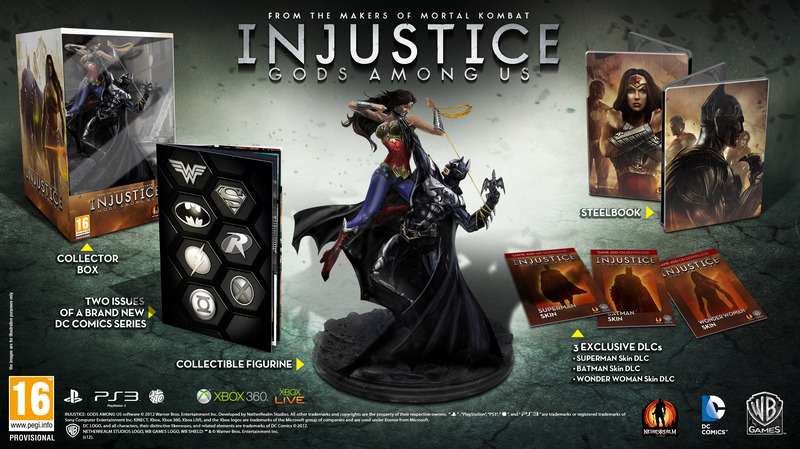 Warner Bros. Interactive Entertainment have this morning unveiled details for the Collector’s Edition of Injustice: Gods Among Us, which is set for release in April 2013. Available in limited quantities throughout North America, the package will retail for $99.99. 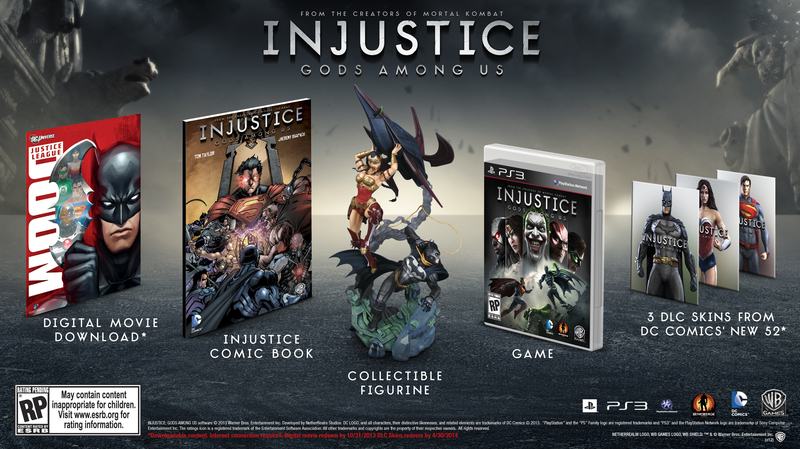 The North American Collector’s Edition will include a highly detailed 13" Batman and Wonder Woman statue, a special edition of a brand new DC Comics series, a digital download of the animated film Justice League, and three exclusive skins for Batman, Superman and Wonder Woman based on DC Comics’ The New 52. We have also received an image of the Collector’s Edition set for release in Europe, Australia and New Zealand. It’s only one week until our coverage of the EB Expo in Sydney commences, so be sure to keep it locked on Kamidogu. Keep up to date via our iOS app, like us on Facebook or follow us on Twitter.